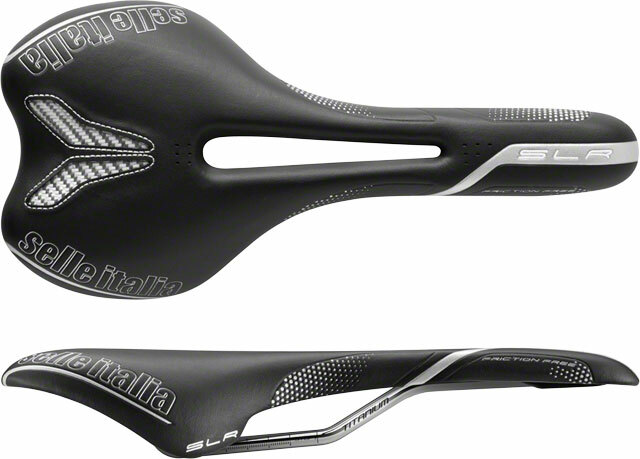 The Selle Italia SLR Flow saddle adds a flow cutout to the revered SLR saddle design. The cutout relieves pressure on sensitive areas, producing a more comfortable ride on those long days in the saddle. The SLR Flow has Vanox rails for strength and stability which is aided by its Perfect Fit self modeling padding and a full-grain leader cover. 131 mm width. Weighs 170 grams.